Working with strong spirited people always trying to improve. Dr. Harry Carlson is the retired director of the Intermountain Research Extension Station, University of California, in Tulelake. Anders filmed Harry over the course of eight years. Here are some of Harry’s thoughts about the Tulelake farmer and the world that they deal with. Music and Song are one of many Farmland traditions. Robert Ganey wrote and sings a delightful ditty about living on America’s fields and productive soil. 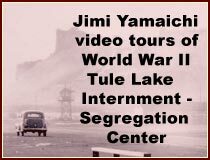 Video was shot in farm land and Tule Lake National Wildlife Refuge surrounding Tulelake, California. ©2013 Robert Ganey and Anders Tomlinson, all rights reserved. The Dig Brothers and SonicAtomics are pleased to present “TopSoil”. This is another Sonic Succulent cultivated and harvested by Denver Clay and Anders Tomlinson, aka the Dig Brothers. The visuals represent a year, filmed between 2001 and 2008, in the life of the Tule Lake Basin, which includes Merrill and Malin, Oregon and Tulelake and Newell, California. Topsoil is the extreme upper part of the Earth’s surface, extending downward only 2 – 12 inches ). It contains the necessary minerals and nutrients that living things — including the plants that directly or indirectly support thousands of species — require. 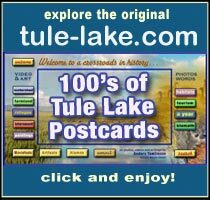 The Tule Lake Basin is an exception to the rule: it is filled with organic material hundreds of feet deep thanks to waterfowl migrations and volcanic eruptions over the course of time. We are all dancing on a thin crust of life. Photography and editing is by Anders Tomlinson. Produced by Anders Tomlinson and Denver Clay. ©2015 Anders Tomlinson and Denver Clay, all rights reserved.